Cuttack, Bhubaneswar and Choudwar will have a metro railway, he said, before stating that Choudwar will be built as an industrial town with the revival of Odisha Textile Mill, Titlagarh Paper Mill etc. and Rs 1000 crore will be invested. If the BJP is voted to power in the state, 3.26 crore people covered under the National Food Security Act will get half kg pulses and salt along with rice at Re 1, promised Union Minister Dharmendra Pradhan. The rice, dal and salt package was a surprise announcement made by the minister as subsidized pulses and salt had not figured even in the party manifesto for the state released by party president Amit Shah in the presence of Pradhan and other leaders a week ago. 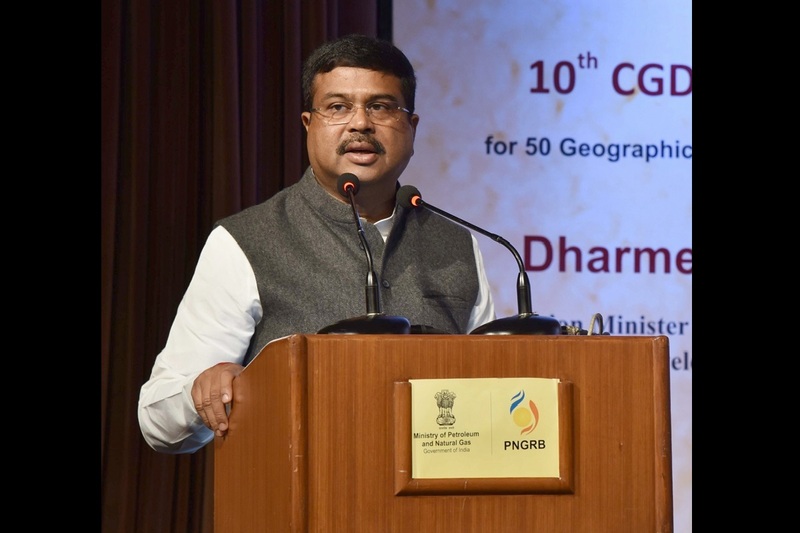 Pradhan, however, asserted that the pulses and salt allocation had been worked out and production of pulses in the country was enough to take care of the distribution under PDS. NAFED has been consulted, he added. The Union Minister went on to list out promises like a B. Ed college in every district, a pension of Rs 3000 to labourers above 60 years of age, and waiver of loan for self-help groups. We will build 15 Smart Cities in the state, he said. Students of plus two will get a scooty and in two years of assuming power, the BJP government will fill up all vacancies in the government sector, he said. The BJP is committed to providing pucca houses to the homeless by 2022 and each household will have drinking water, electricity and LPG connection, he said. Pradhan launched a diatribe against BJD president Naveen Patnaik saying, “The CM has no reply to questions on why people do not have drinking water, why doctors are not in hospitals and why there is a dearth of teachers in schools”. He has failed to provide the basic minimum to the people in 19 years. All that he says today is against PM Modi and the BJP. The CM blames the centre but does not say why he was unable to meet the basic requirements of people, charged Pradhan. The CM blames the centre for stopping the KALIA scheme whereas the fact is that the state does not have the money to provide to the farmers and it does not even have a list of 40 lakh beneficiaries, he alleged.